with an overall share of 16.1% and a 24.8% share of the scooter segment. In India, the Piaggio market share in light commercial vehicles up to 26.7%. 27 February 2015 – At a meeting today in Mantua chaired by Roberto Colaninno, the Board of Directors of Piaggio & C. S.p.A. examined and approved the 2014 draft financial statements. The Piaggio Group reported a positive performance for the year with improvements in all profitability indicators, on consolidated net sales in line with the 2013 figure (and reflecting growth net of the exchange-rate effect). 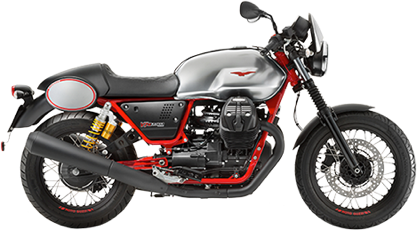 Piaggio Group performance was particularly strong in the fourth quarter of 2014 with significant growth in results compared with the fourth quarter of 2013, in absolute terms and as a percentage of revenues. In the fourth quarter of 2014, the Piaggio Group reported consolidated net sales of 282.5 million euro (+9.7% on the fourth quarter of 2013) with revenue improvements in all regions where it operates, EBITDA of 24.0 million euro (+84% on the fourth quarter of 2013) and an industrial gross margin of 77.2 million euro (+15% on the fourth quarter of 2013). Group 2014 full-year consolidated net sales totalled 1,213.3 million euro, in line (+0.1%) with 1,212.5 million euro in 2013. Net of the exchange-rate effect, Group consolidated net sales amounted to 1,228.6 million euro, an increase of 1.3% compared with the year ended 31 December 2013. The industrial gross margin for 2014 was 364.7 million euro, an increase in absolute terms from 357.5 million euro in 2013, and in terms of the net sales margin, which rose to 30.1% from 29.5% in 2013. Operating expense in 2014 amounted to 295.0 million euro, in line with 2013 (294.9 million euro), confirming the Group’s constant focus on cutting costs and maintaining high profitability and productivity. The progress in the income statement described above generated an increase in consolidated EBITDA from 2013, to 159.3 million euro (146.8 million euro in 2013). The EBITDA margin rose by 1 percentage point from the previous year to 13.1%, the best annual performance since 2011. 2014 EBIT was 69.7 million euro, an improvement in absolute terms from 62.6 million euro in 2013, and with respect to revenues (the EBIT margin was 5.7% against 5.2% in 2013). The Piaggio Group closed 2014 with a profit before tax of 26.5 million euro, compared with 30.3 million euro in 2013. Compared with the previous year, the Group recognised non-recurring finance expense relating largely to the early redemption of the bond originally maturing in December 2016. 2014 closed with a net profit of 16.1 million euro, compared with a net loss of 6.5 million euro in 2013. Adjusted net profit, net of the non-recurring expense mentioned above, was 18.6 million euro. Net financial debt at 31 December 2014 was 492.8 million euro, compared with 475.6 million euro at 31 December 2013. The increase of approximately 17.2 million euro arose largely from the investment program and the negative effect of working capital chiefly due to the delayed reimbursement of value-added tax and custom duties in the fourth quarter of 2014. Shareholders' equity at 31 December 2014 was 413.1 million euro, an increase of approximately 21.0 million euro from the figure at 31 December 2013. Piaggio Group capital expenditure in 2014 amounted to 94.9 million euro (+8.3% on 2013), while R&D expenditure was 46.3 million euro, substantially in line with 2013. 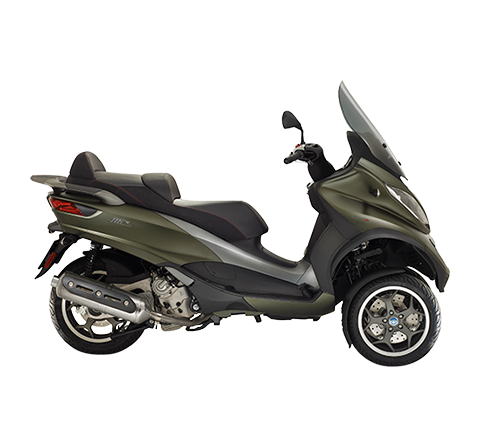 The Piaggio Group workforce at 31.12.2014 consisted of more than 7,500 employees, substantially in line with 2013. In 2014, the Piaggio Group shipped a total of 546,500 vehicles worldwide, compared with 555,600 in 2013. The shift in the product mix towards higher-cost vehicles, together with the Piaggio Group branding and premium price policies, generated an increase in consolidated net sales. 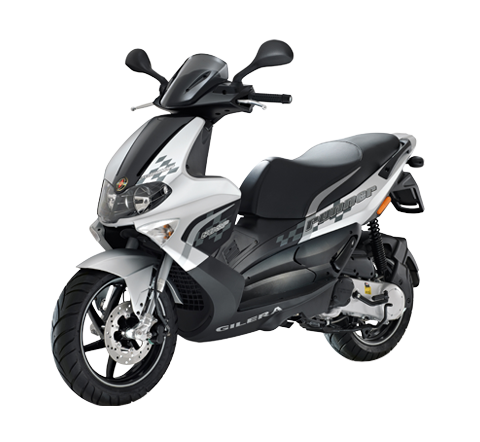 In 2014, the Piaggio Group maintained its leadership of the European two-wheeler market, with an overall share of 16.1% and a 24.8% share of the scooter segment, where it had a 12 percentage point lead over the second competitor. The Group also maintained its position as reference constructor on the US scooter market, with a share of approximately 21%. 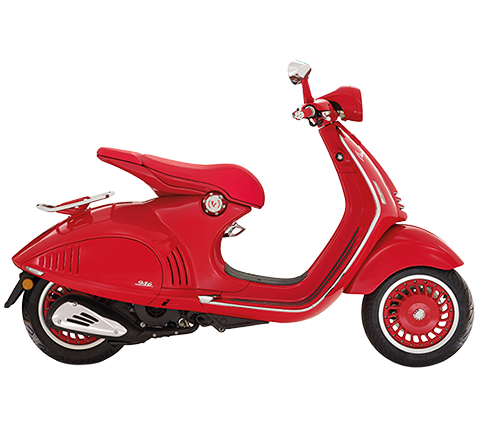 There was an important increase in 2014 in sales for the Vespa brand and the Piaggio Mp3 three-wheel scooter, assisted by the launch of the new Primavera and Sprint models and the completely renewed versions of the Mp3 in various displacements and the Vespa GTS. 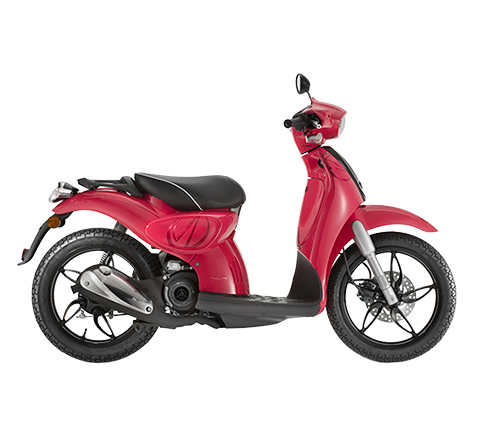 During the year, the Piaggio Group shipped 17,200 three-wheel scooters, an improvement of 17.5% from 14,600 shipments in 2013 and of approximately 29.3% in revenues. Significant growth was also reported for Vespa sales on Western markets, with revenues rising by 5% on 2013. Worldwide Vespa brand revenues in 2014 reached 324 million euro, up 1.3% from 320 million euro in 2013. In light transport, on the Indian market for three- and four-wheel light commercial vehicles (payload up to 1 ton), in 2014 Piaggio boosted its market share from 25.8% to 26.7%. In the three-wheel vehicle segment, it confirmed its position as reference player with a 32.5% market share. Growth in exports of Piaggio commercial vehicles from the Indian production hub was particularly significant in 2014, rising to 23,000 shipments, an improvement of 50.1% on 2013. In 2014, the parent company reported net sales of 716.4 million euro and net profit of 14.8 million euro, net of non-recurring expense relating substantially to the early redemption of the bond maturing in December 2016 and to the refinancing of the revolving credit facility originally maturing in December 2015. The Board of Directors will ask the shareholders to approve distribution of a gross dividend of 0.072 euro per entitled ordinary share (no dividend was paid for financial year 2013); the board will also propose that the ex dividend date (coupon no. 8) be fixed for 20 April 2015, the record date for 21 April 2015 and the payment date for 22 April 2015. At a more general level, the Group maintains its constant commitment – a characteristic of recent years and continuing in 2015 – to generate higher productivity through close attention to cost and investment efficiency, in line with its ethical principles. At today’s meeting, the Board of Directors agreed to present to the shareholders’ meeting a proposal for the renewal of the authorisation for the purchase and sale of own shares granted by the Annual General Meeting of 28 April 2014, which is due to expire on 28 October 2015. The proposal aims to provide the company with a useful strategic investment opportunity for the purposes allowed under law, including the purposes contemplated in the market practices allowed by the Consob pursuant to art. 180, paragraph 1, lett c) of the Consolidated Finance Act with resolution no. 16839 of 19 March 2009 and Regulation CE no. 22/2003 of 22 December 2003, and also for purchases of own shares for subsequent cancellation. As of today, the number of own shares in portfolio stands at 2,466,500, representing 0.6782% of share capital. The Piaggio & C. S.p.A. Board of Directors carried a resolution to propose to shareholders the cancellation of 2,466,500 own shares in portfolio (representing 0.6782% of share capital), without variation to current share capital. The presentation of the financial results for the year ended 31 December 2014, which will be illustrated during the conference call with financial analysts, is available on the company corporate website at www.piaggiogroup.com/it/investor and at the “1Info” authorised storage mechanism on the www.1info.it website. 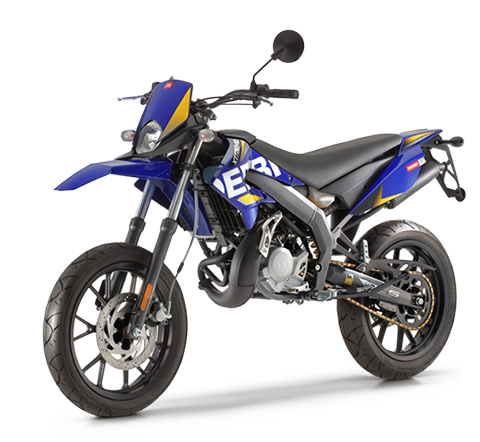 The Piaggio Group consolidated income statement, consolidated statement of financial position and consolidated statement of cash flows are set out below. In compliance with Consob Communication no. 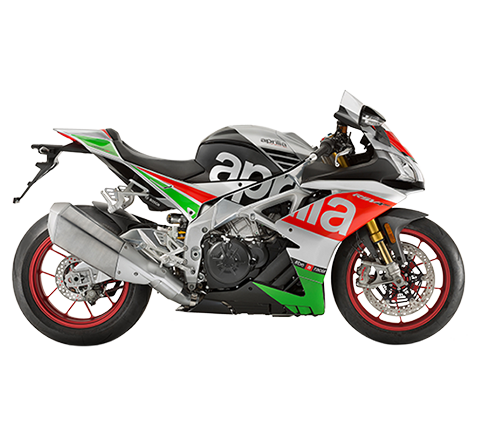 9081707 of 16 September 2009, it should be noted that at the time of publication of this release, the audit of the Piaggio Group consolidated financial statements and the separate financial statements of Piaggio S.p.A. for the year ended 31 December 2014 was still underway.